New Jersey Governor Chris Christie reversed his own public stance on the topic of legalized sports betting in New Jersey by vetoing a bill that would have allowed the practice within the state, at selected gambling outlets. The veto came on the last business day before an August 10th deadline, at which point the largely-popular measure would have become law without Christie’s signature. The measure could still become law if a veto override is brought forth in the state’s legislature and approved by two thirds of both state houses, though the chances of a push to launch that override effort remain unclear. Christie’s veto leaves in place, for the time being, a recent federal appellate court decision that barred New Jersey from implementing legalized sportsbetting in the state, as approved by voter referendum in late 2011. Several national sports organizations sued to prevent the state from implementing its plans, and earlier this year, the US Supreme Court declined to hear the case, leaving the state’s plans barred under the initial terms of the Professional and Amateur Sports Protection Act [PASPA]. 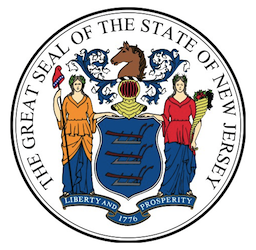 However, the appellate ruling left open a legal hole through which the state could have allowed legalized New Jersey sports betting to occur, but without formal state oversight. It was that hole that the measure vetoed by Christie was intended to exploit. The bill, SB 2290, prominently backed by the state’s gambling interests and sponsored by a pro-casino New Jersey legislator, State Sen. Ray Lesniak, was approved by overwhelming margins within days of the previous lawsuit being denied its possible Supreme Court hearing. SB 2290 was passed nearly unanimously before being sent to Christie’s desk in late June. The state’s Senate approved the workaround on a 38-1-1 count, while the state’s Assembly approved it 63-6-11. Despite the large initial margins, it remains uncertain that a veto override attempt would be successful. No previous Christie veto has been overridden in a similar matter since he took office, though few such measures have been so widely approved. Numerous GOP lawmakers would have to go along with the possible override in order for Christie’s veto to be rendered meaningless, and on the national level, the Republican Party has come down strongly against New Jersey’s efforts to implement betting on sports. Political pressure is believed to be one of the primary causes of Christie’s reversal. The moderate New Jersey governor has openly campaigned as a possible 2016 Presidential candidate. Sports betting and pro-gambling interests in general play very poorly among the Republicans’ conservative base, which renders a disproportionate influence on the Presidential primary process in the United States. Numerous moderate GOP candidacies have been destroyed by the GOP’s far-right wing, and this Christie reversal may be part of an attempt to avoid a similar fate. Christie himself gave notice on August 1st that he would be vetoing the bill, sending a three-page letter to the state’s Senate regarding that bill. In it, Christie declared that the spirit of the bill was intended to override the federal “rule of law” that was upheld in the earlier appellate decision against the state, and that despite his expressed support for the state’s gaming industry, he could no longer support the bill. The Christie decision represents a serious blow to the New Jersey casino industry, which had pointed to the possibility of offering legal sports betting as a possible lifeline. In the past year, three of Atlantic City’s 12 casinos have either closed or announced their pending closure, with a fourth, the brand-new Revel, already in bankruptcy proceedings and facing a possible similar fate.